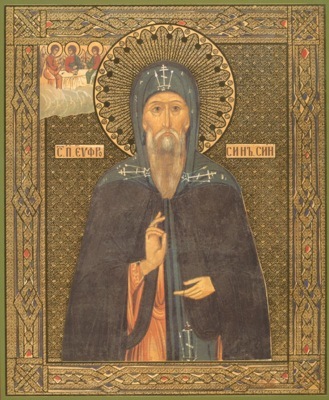 Saint Euphrosynus of Blue Jay Lake (Sinozersky), in the world Ephraim, was born in Karelia near Lake Ladoga in the second half of the sixteenth century. His father's name was Simeon, but his mother's name has not come down to us. In his youth he lived near the Valaam Monastery, perhaps as a novice, until it was captured and ransacked by the Swedes. Later he moved to Novgorod the Great. After he spent some time there, the Saint then withdrew to one of the Novgorod outskirts, the Bezhetsk “pentary” [one fifth of the “Pyatiny Novgorodskiya,” comprising five outlying districts of Novgorod the Great]. 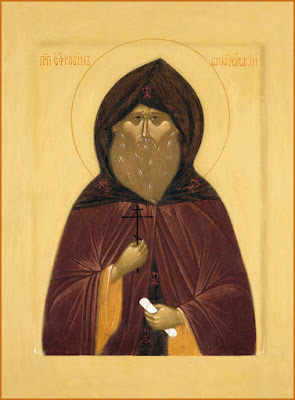 He became a Reader in the Church of Saint George the Great Martyr and Saint Nicholas the Wonderworker in the village of Doloska, twenty versts from the city of Ustiuzhna of Zhelezopolska. He was tonsured at the Tikhvin Dormition Monastery. In 1600 he began his wilderness life in the wild marshlands on the shore of Blue Lake. 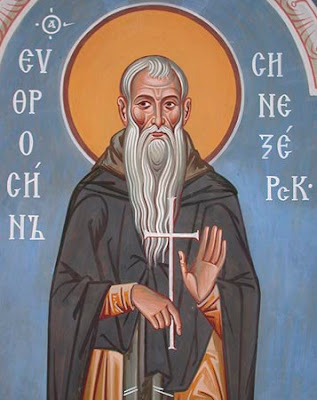 Here the Saint set up a cross and dug a cave. 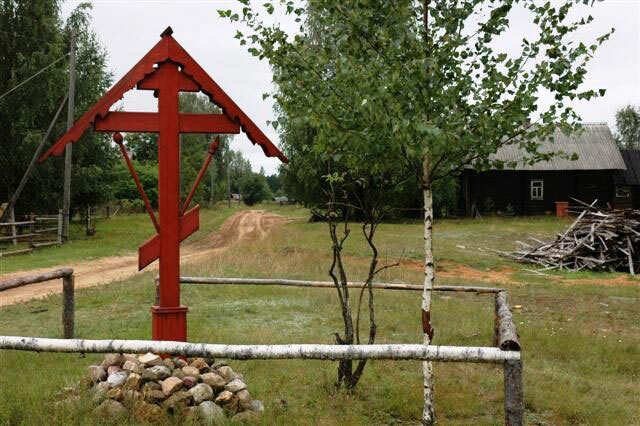 The Saint lived here for two years, eating only wild vegetation. 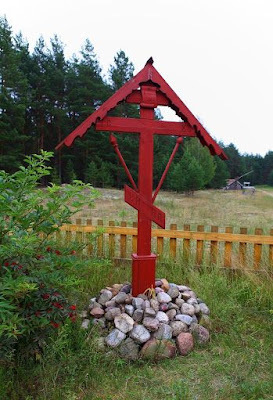 This cross marks the spot of the St. Euphrosynus' martyrdom. 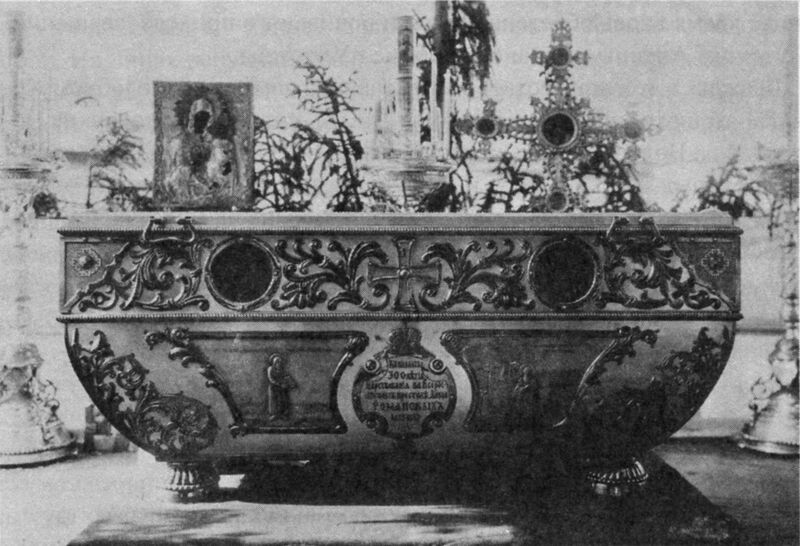 In 1913, the relics of St. Euphrosynus were transferred from the top coffin to the bottom coffin. 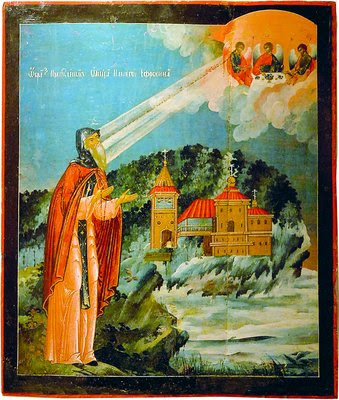 Thirty-four years after the death of the Saint, a new church was built by a certain Moses, and dedicated to the Most Holy Trinity. With the blessing of Metropolitan Macarius of Novgorod, the incorrupt relics of Saint Euphrosynus were transferred to a new reliquary beneath the belfry of the Annunciation Church on March 25, 1655. 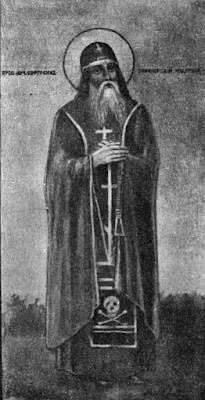 The Venerable Martyr Euphrosynus was glorified by the Russian Orthodox Church on June 29, 1912. 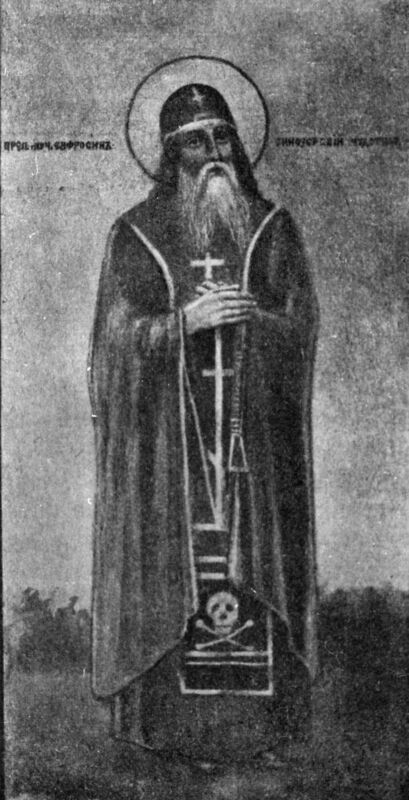 In 1913, after canonization, for the relics of the Saint a new bronze coffin was built, standing in the chapel under the bell tower. 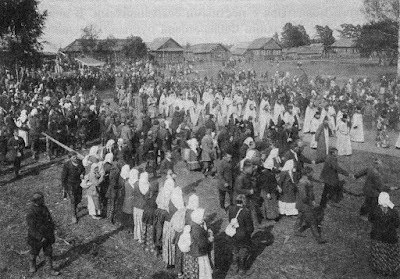 Divine service in the Trinity-Annunciation Church took place until 1933. 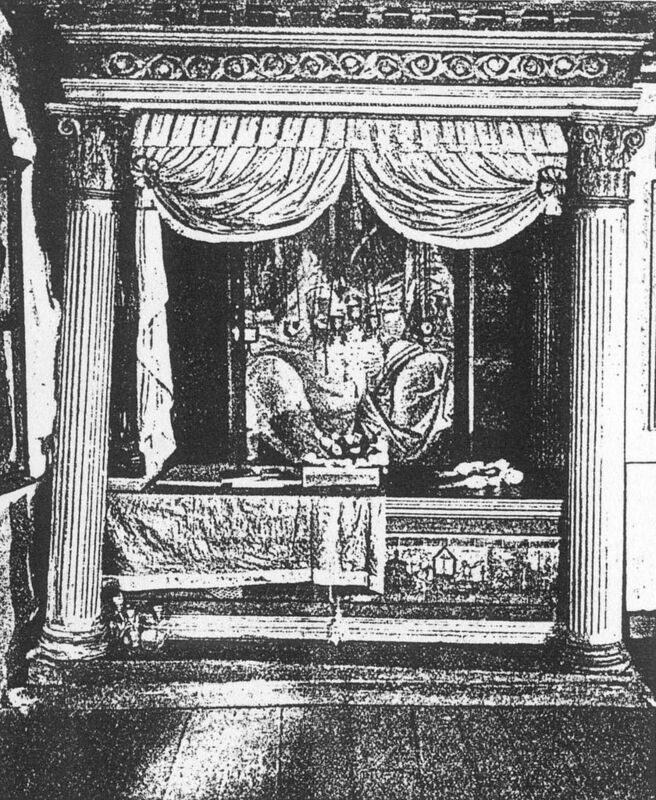 In the same year, after the closure of the temple, the coffin with the holy relics entered the Ustyuzhensk Museum of Local Lore. In 1936, the relics were uncovered, exhibited for some time in the anti-religious exposition of the museum, then kept in stock; in 1954 the coffin of 1913 was made into scrap metal. 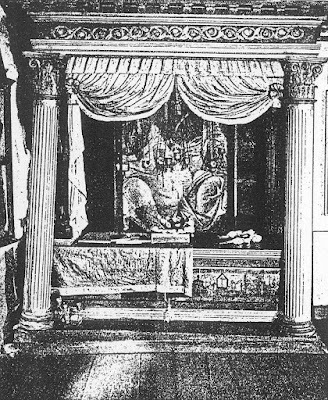 On June 14, 1991, the holy relics of Euphrosynus were handed over to the Russian Church, and now they are resting in the aisle of the Kazan Church in Ustyuzhny.